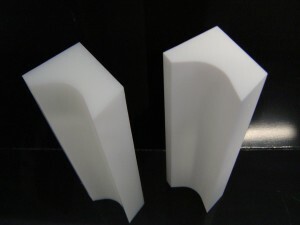 PTFE (Polytetrafluoroethylene) is a specialised engineering plastic featuring various outstanding properties including: Non-stick surface to which no substance will adhere, resulting in low friction as well as excellent sliding & release capabilities; Chemical, solvent, corrosion & UV resistance; High temperature stability, capable of continuous use at incredibly high temperatures up to 260 degrees centigrade; and increased insulating and dielectric capabilities. 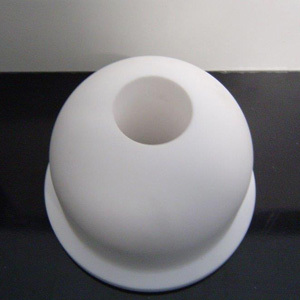 If you require a tough engineering plastic which performs well at high temperatures and in aggressive atmospheres, Polytetrafluoroethylene is the ideal choice. 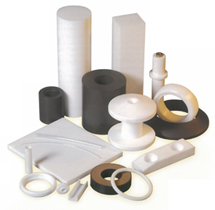 As with all of our engineering plastics, PTFE rod, sheet, cylinder, tape & tube can be cut to size and custom fabricated as required. All products and services we provide are available to the general public, including custom design and fabrication. Limited engineering plastics and adhesives are available on our eBay store.